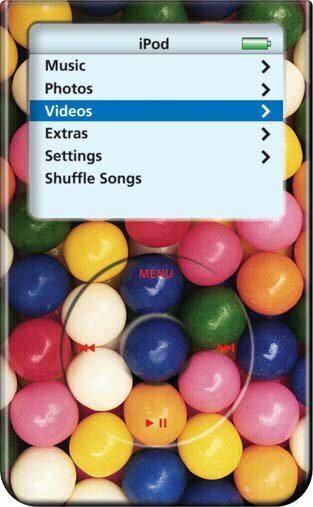 This colorful gumball design iJacket case is made of PVC that is tear resistant and guards against potential iPod damage from dents and scratches. The iJacket skins completely enclose compatible iPod family members while still allowing access to the click wheel and the dock connector. Our iJacket is for use with the 30G Video iPods. Comes complete with Neck Strap, Screen Protector & Detachable Belt Clip.